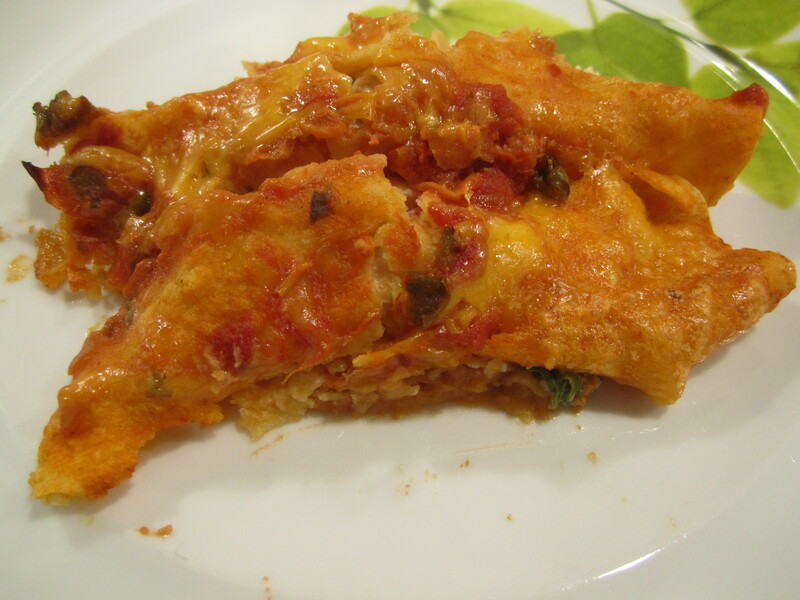 This dish has great flavor and is a really good recipe from Cooking Light. A little lengthy in preparation but worth it. 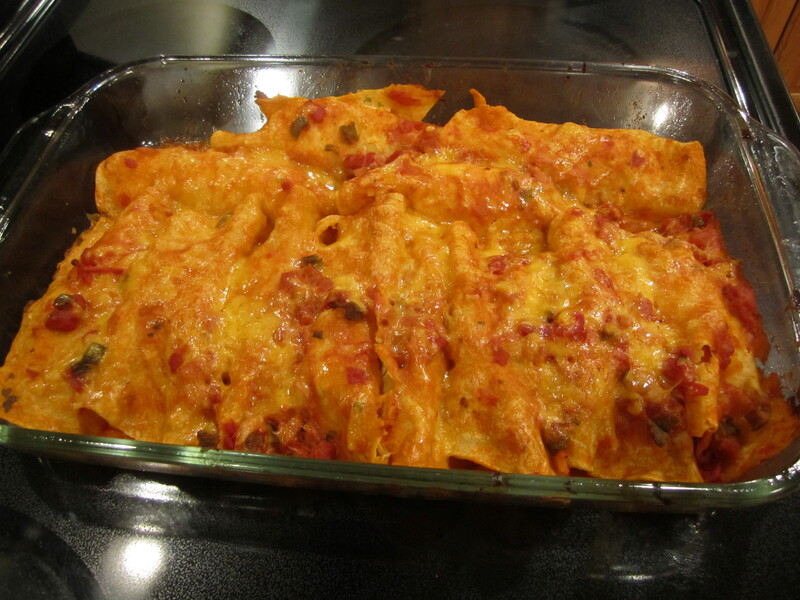 It makes quite a bit, 6 servings so you can have leftovers if you have a small family (yum for lunch!) or it could be a very casual dinner for friends. 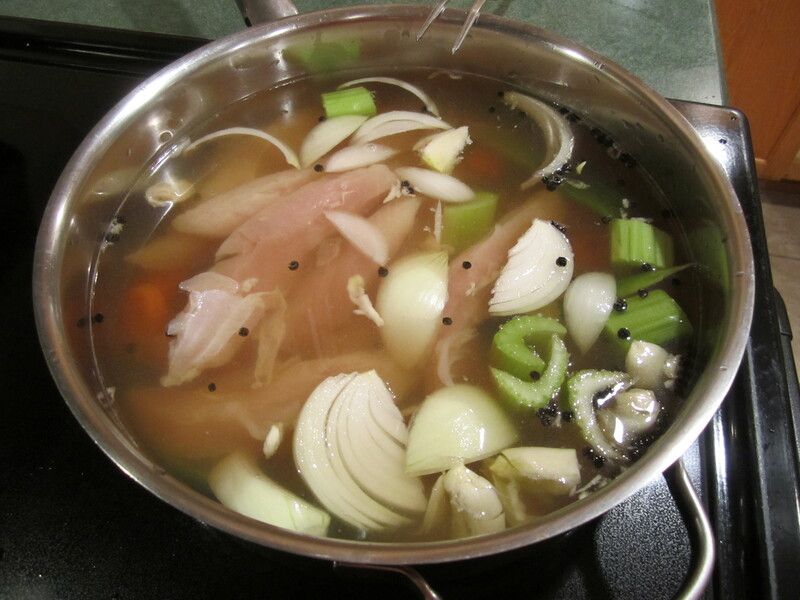 For the chicken broth, I used a 14.5 ounce can of Swanson (my favorite brand). 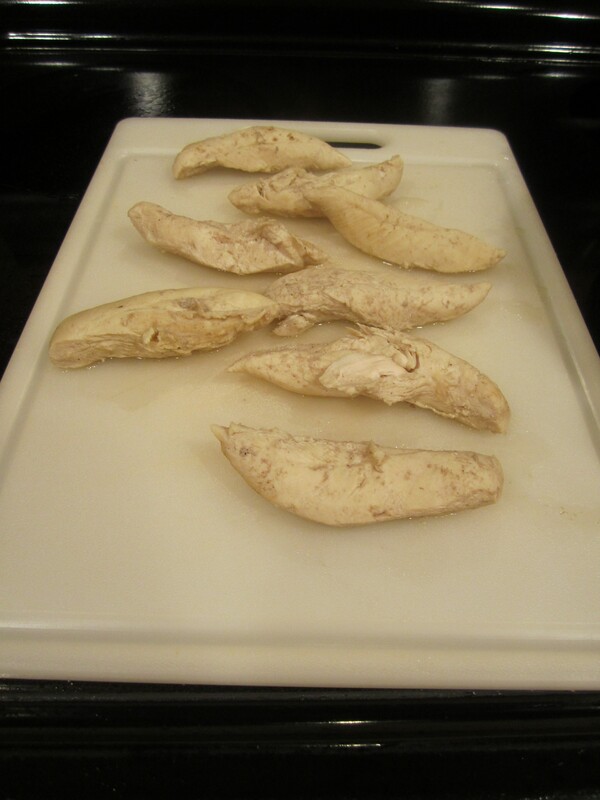 I used a 1 pound package of chicken tenders instead of chicken breast halves (see Chicken Tenders on how to remove the white ligament). I cannot find red salsa verde at my supermarket. Only green. 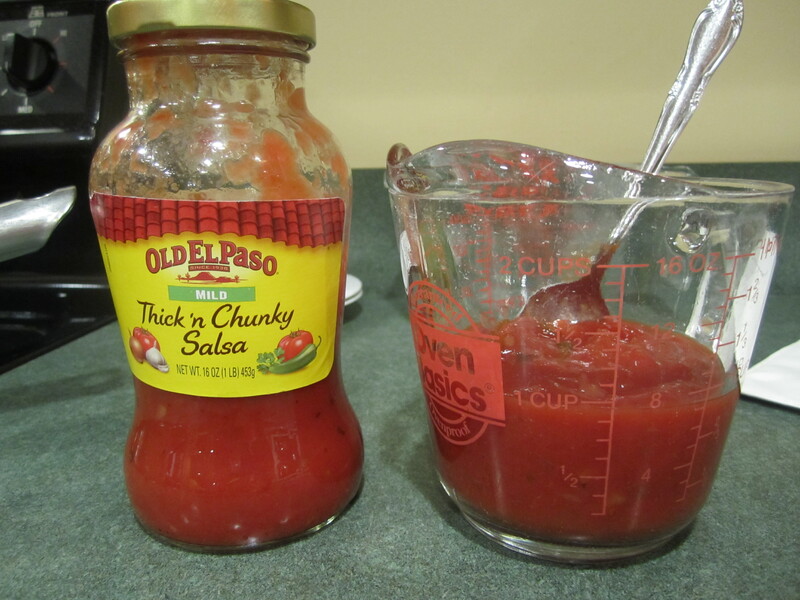 So I substituted Old El Paso Thick’n Chunky Salsa in mild. So if you can get the red salsa verde please use it. 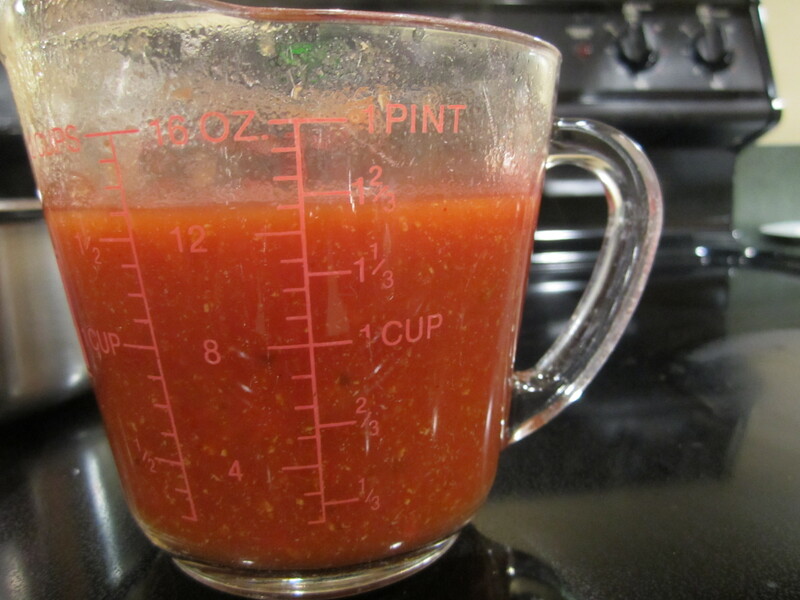 1 cup of chopped seeded tomato is equal to 2 medium/large tomatoes. 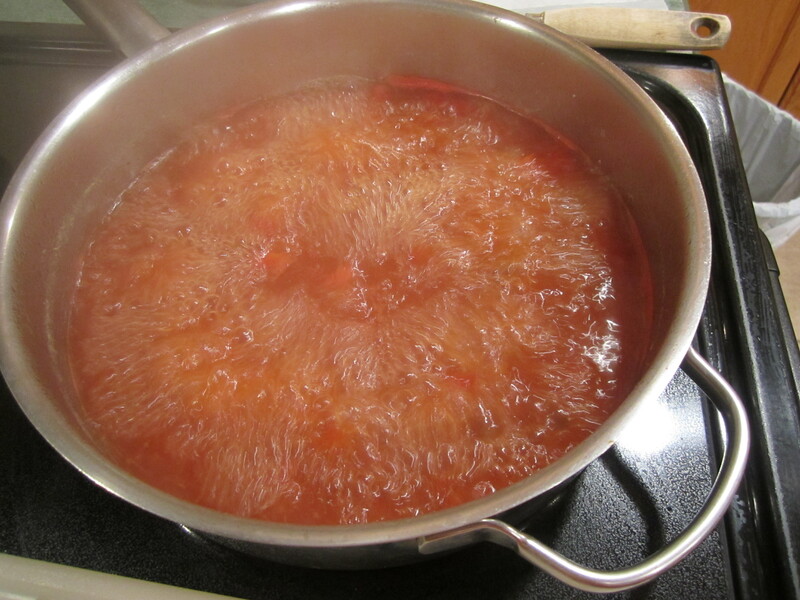 You are essentially gutting the tomato when you take out the seeds. I did not use the red pepper but that’s because I am a bit of a wimp when it comes to hot spicy food. 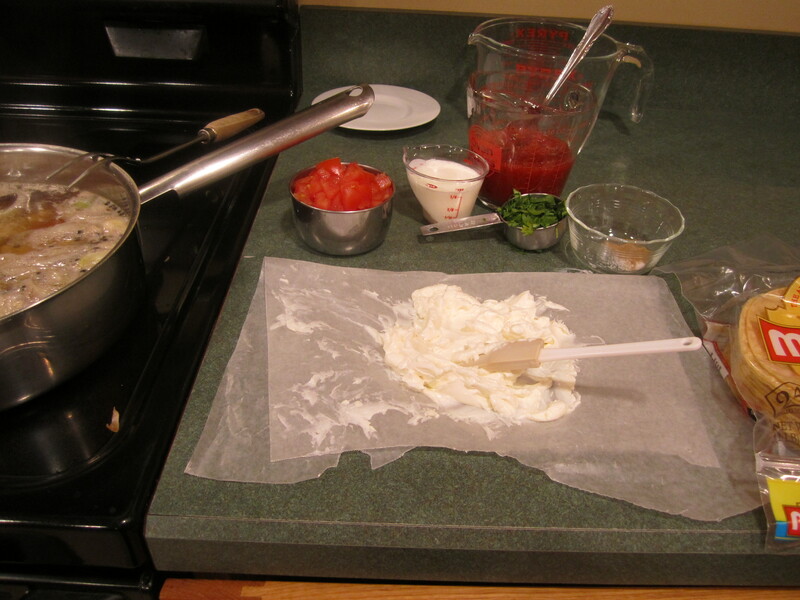 I used full fat cream cheese because that is what I have. I am sure the less fat would be just as tasty. 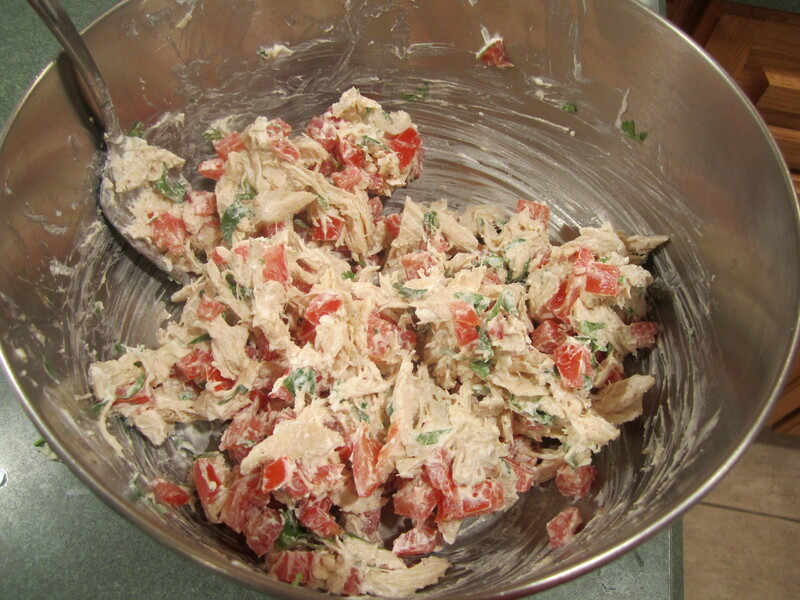 Also make sure the cream cheese is softened. 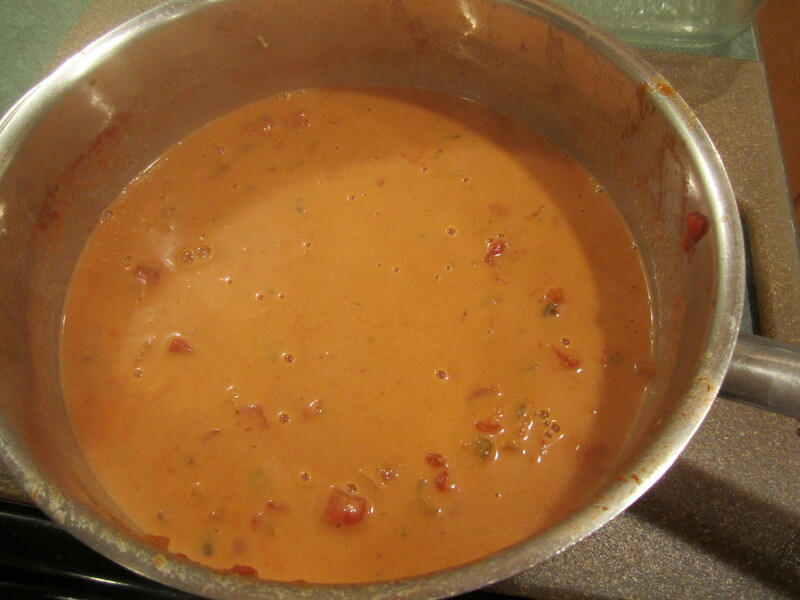 Microwave for 10 seconds or so if not softened enough. 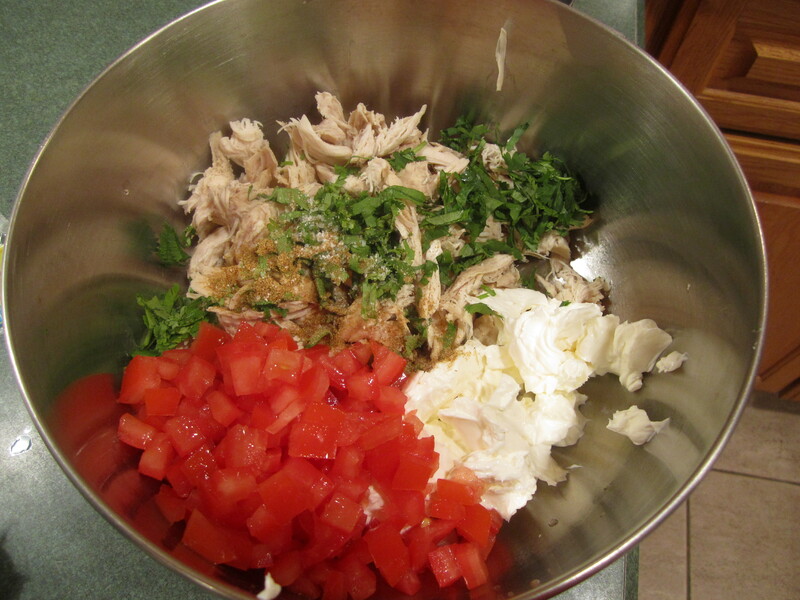 It makes the combining with other ingredients much easier. 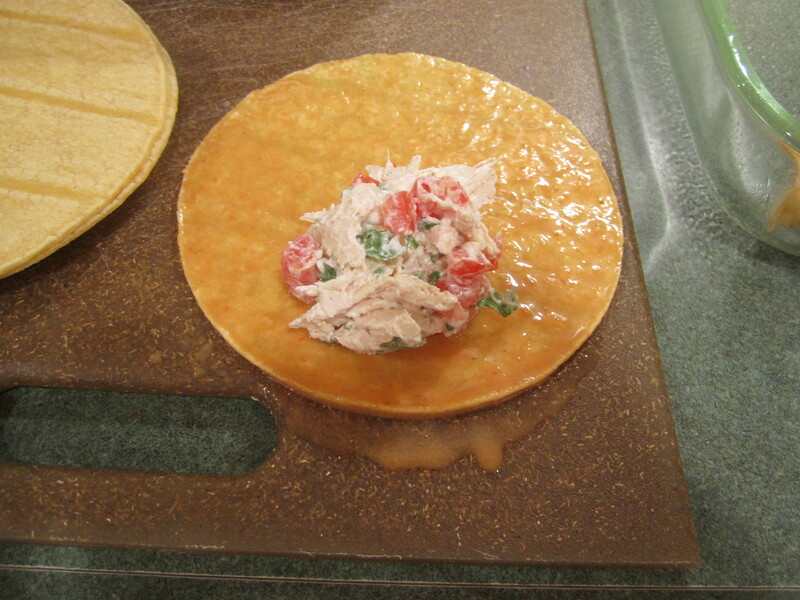 When you are rolling the tortillas with the chicken mixture, don’t worry if they crack. They will be fine once baked. 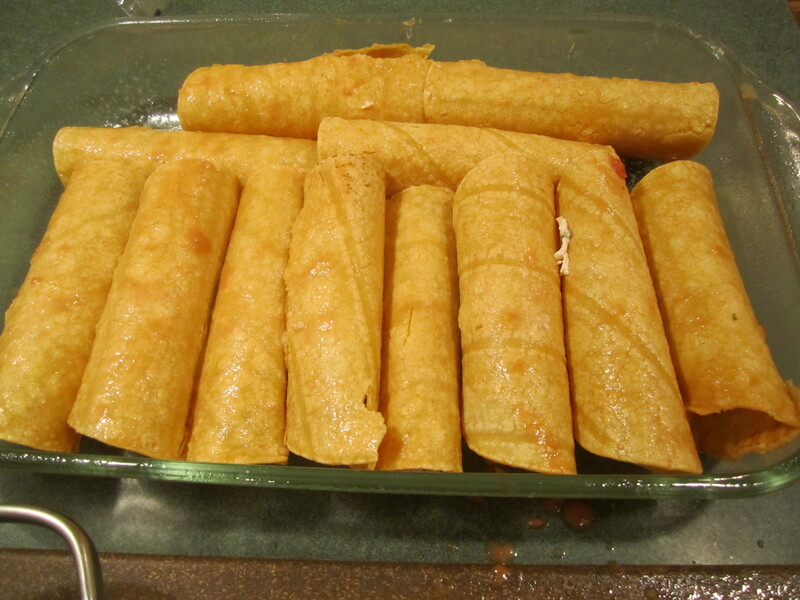 I also used a 1/4 cup of filling for each tortilla instead of 1/3 cup. 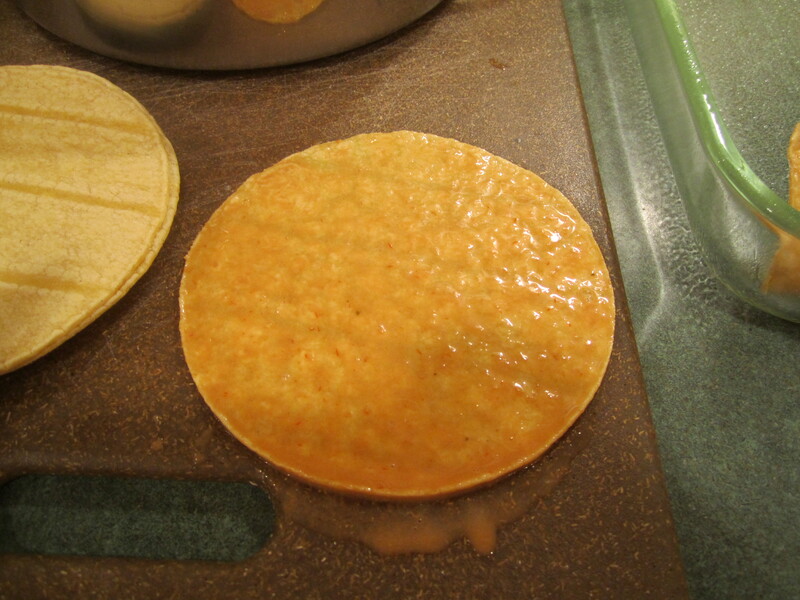 Mission Corn Tortillas are the best. Please use them. This is from personal experience and also from my son-in-law, who is an expert on corn tortillas. You can also freeze any extra. 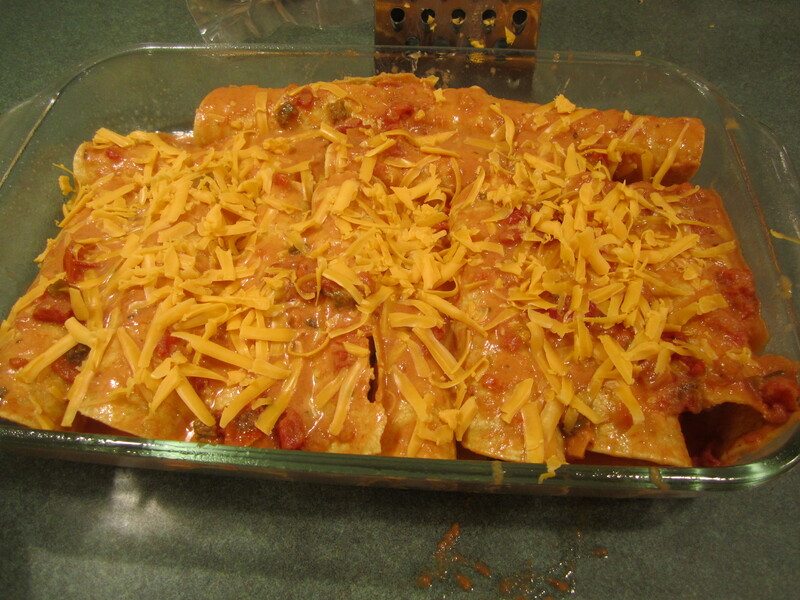 Cooking time: start with 15 minutes and then check to see if lightly browned. That may be enough. 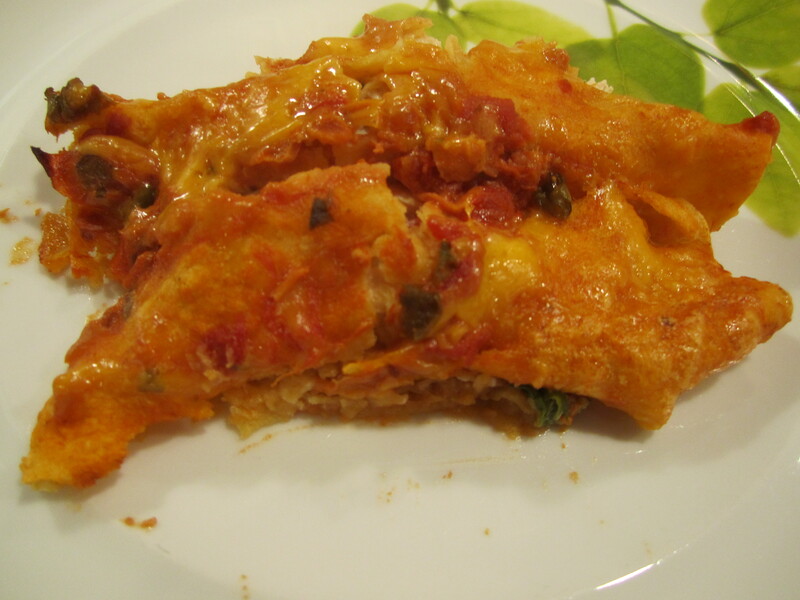 Serve the Chicken Enchiladas with sour cream and salsa.